Developed by Oxeye Game Studio, Fatshark. Published by Mojang. Released on February 2, 2016. Available on PC/Xbox 360/Xbox One. Review code provided by Publisher. 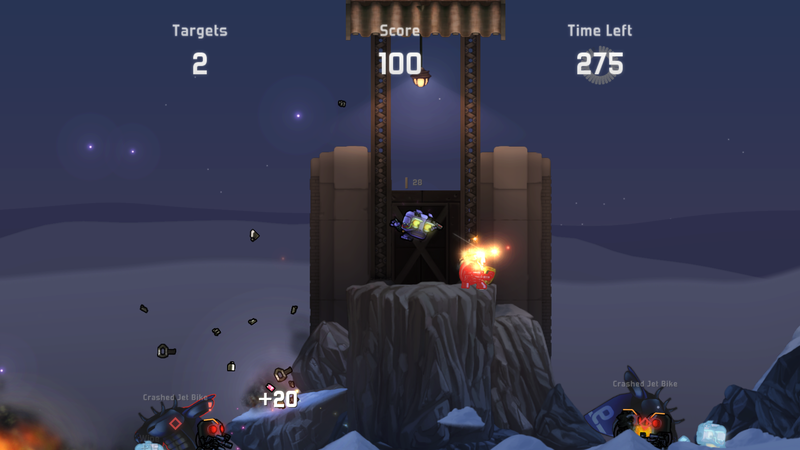 This is a platformer with a blue robot that shoots bad guys. No, not Mega Man, but his indie cousin (not that one) Cobalt. 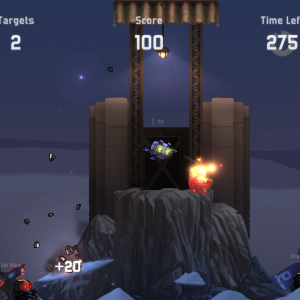 Oxeye Game Studio spent around six years developing their adorable robot game, with a focus on refining a complex combat system that raises the bar of 2D shooters. Along the way they captured the attention of Minecraft developer Mojang, who agreed to publish the title. Cobalt's story is hard to follow at times but makes an adequate backdrop, and the gameplay depth illustrates what a shootout experience can be: death and danger always close, one misplaced shot meaning certain doom, and action packed stakes always being high. It's a sci-fi distant future involving space travel and robots. We begin at the end of a forty-five year long galactic journey to the planet of Trunkopia. Earth receives a distress signal and sends Cobalt in a research vessel to investigate. On the surface, the robot meets hostility as android brethren attack with deadly force. The first chapter's uneven pacing is justifiable as it has to introduce the game's mechanics. Combat tutorials reach to such an extent that it leaves little room for plot. Essentially, Cobalt meets a space sage in the Trunkopia wilderness, who explains that an ancient being known as ETAC annihilated humanity on the planet. The being had enough power to bend the planet's machines to its will and start a war. Cobalt must travel to the far corners of the planet and find pieces of a cipher that can put a permanent stop to ETAC. The bulk of your cyborg attackers are rogue machines that are similar in size to Cobalt, but ETAC's crookedness glows in their eyes, twisting their forms into something more sinister. 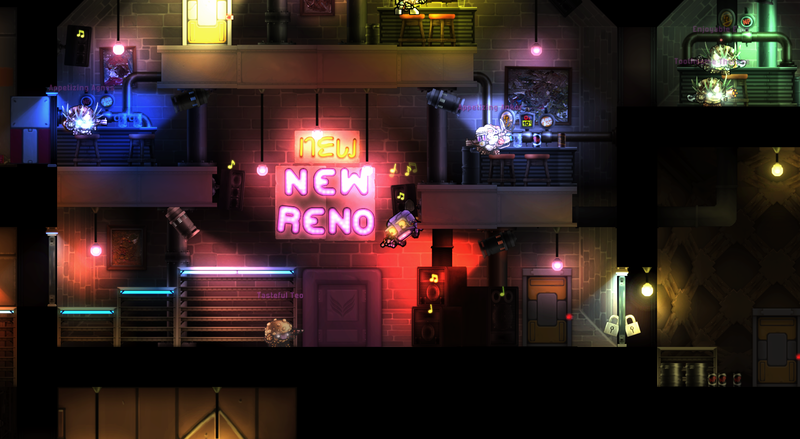 All the thugs you fight will pack heat, and some of them even have the same abilities as Cobalt, such as sticking to walls and pushing objects. The opposition communicates with each other to coordinate attack patterns in response to you. Cobalt really shines here, showing the right direction to take when making an engaging battle experience: an enemy needs to be smart for a game to feel worthwhile. Cobalt shows the value of effort put into crafting A.I. dynamics. You need to time your shots with precision and have patience, the game even has alarm robots that call for reinforcements the moment they spot you. 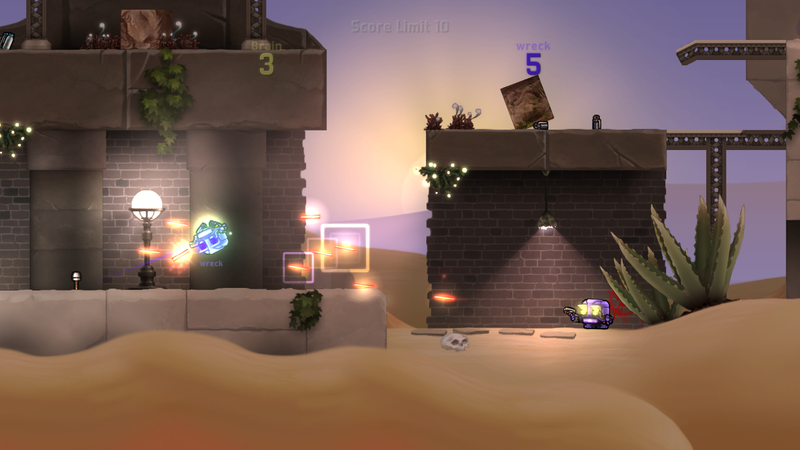 The "rolling" mechanic of Cobalt is what sets the game apart from other 2D shooters. At any given point you're able to curl up into a Samus-style robot ball and roll with ease around the game's environments. 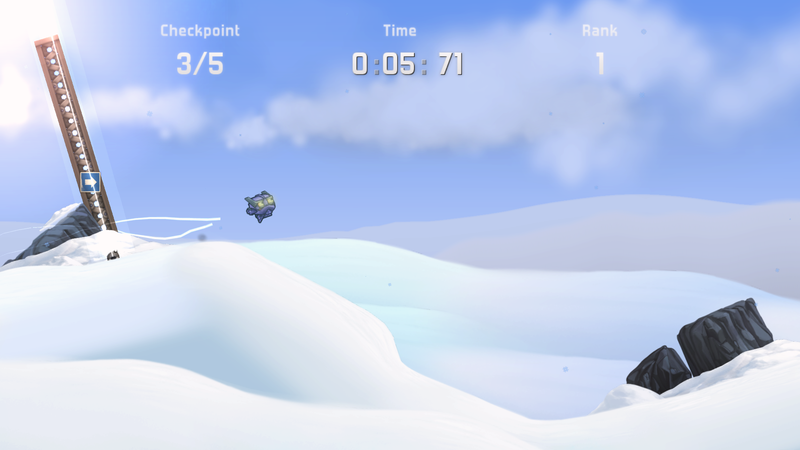 Cobalt's ball form slides on the ground, speeding down slopes and up hills. The most useful aspect of rolling is being able to deflect bullets back at opponents, and mastering the timing of it is part of the challenge. 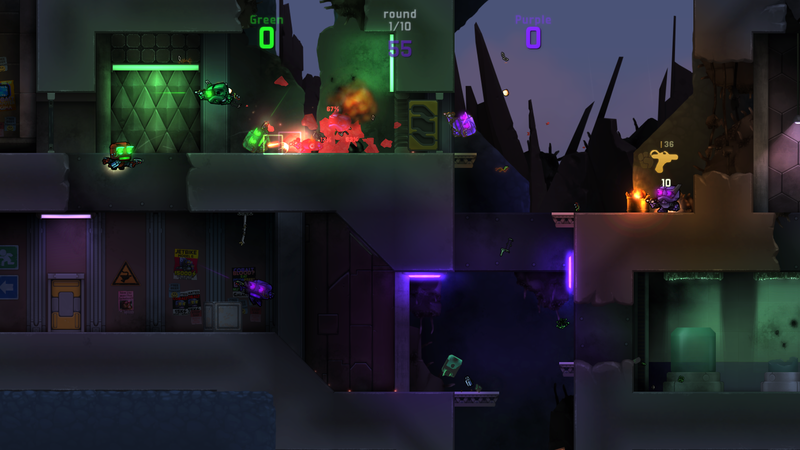 Cobalt also goes into an automatic slow motion mode in many combat occasions. While annoying, the slow motion is the game's best cue on when rolling out of danger is optimal. Regardless, there are limits to the deflection power that rolling blesses you with. It will not save you from a chaotic bulletstorm or explosions. It's tempting to get carried away with rolling based on how well it works in the environment - you might forget about any combat restrictions. The main challenge to Cobalt's combat is the fact your robot has a low damage tolerance. A few well-placed shots is all it takes to kill Cobalt. The blows from battle reflect on his metal body, showing a perceptible change when damage chips away armor and scars Cobalt's appearance. You can delay his demise by equipping an energy shield to block enemy fire, but dying in Cobalt is inevitable. Cobalt is at the mercy of the game's automated aiming system. He will shoot in the general direction of where he faces, and will auto-aim for the closest target when crouched. The same idea applies to the throwables and melee weapons. There were a few occasions where the system flopped and went haywire in the heat of the action, but otherwise it was easy to trust that the game knew what it was doing. Great implementation of automatic targeting doesn't mean the clashes of Cobalt are simple, though. You can customize your armor to increase damage resistance, reduce movement noise, or increase mobility and rolling speed. There's some originality to the explosives and bombs in Cobalt. You do have the simple grenade and sticky bombs that you would expect, but there are also bombs that slow down time, and others that create pillars of fire in all directions. There are plenty of onslaught options with an estimated total of seventy different weapons to pick from. In the assortment of things to do in Cobalt, mini games add to the experience. Sometimes Cobalt needs to pick the lock on a door to continue on in a level. Other times he may come across a safe with valuables inside, needing to crack the combination. But the most original of these is the "phreaking" game that has Cobalt unlock doors based on audio tones. These mini games serve as a nice break from the intense Cobalt combat experience. The possible money or loot rewards are often worth the effort, as it's hard to find resources by other means. The game offers combat challenges, speed races, and puzzle areas between story missions. Leaderboards show off high scores where you can compare your skill with online players. Some puzzles demand finding a "plug" and using it to power elevators or other navigation help. One puzzle area gives you a portable trampoline that requires precision jumping to solve. 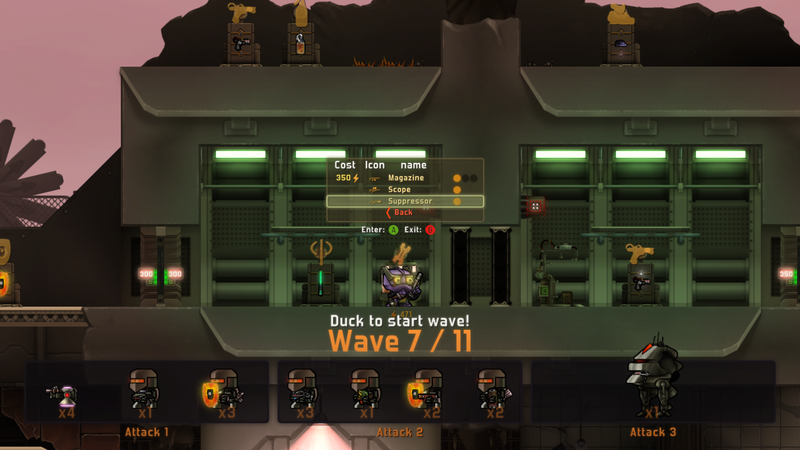 The reward for saving the Enclave of robots in level 4 is a robot hacking gun that changes the entire Cobalt challenge and gives a new way to plan combat. Going through many frustrating battles makes you wish for a different angle, and the hacking gun allows you to have a satisfying payoff for the built up rage. The only downside is hacking leaves you vulnerable to other enemies in the meantime. Arcade mode presents several different scenarios that you can play with your friends online. 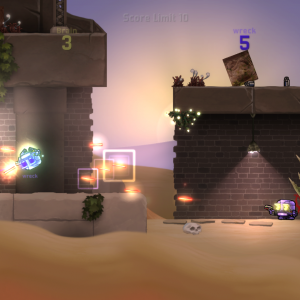 Deathmatch is a free-for-all, kill everyone for points and try to reach the score limit. Team-Strike is an elimination battle between two sides where you need to kill everyone on the other team. Plug Slam has your squad trying to get a plug into the opponent's goal in a race to score the most before time runs out. Survival mode puts you and your friends against endless waves of enemy forces with the aim of protecting Bopo Brains from harm, earning volt money at the end of every round to upgrade gear. Arcade mode has the potential for a lot of gunplay amusement with eighty different maps. For those who want to experiment, Cobalt even has a built-in level editor feature. 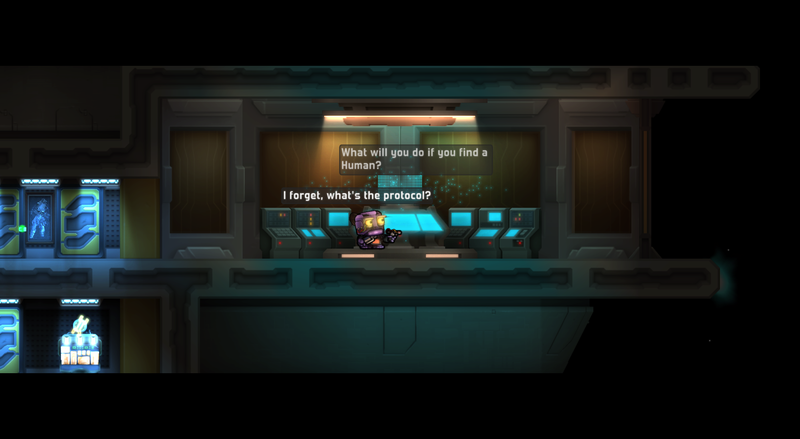 Cobalt is a game of precise and calculated decisions. To master it means fighting like a robot. The story mode from start to finish takes about ten hours, if you know what you're doing. The story might not leave an impression, but the fast-paced action guarantees to please. 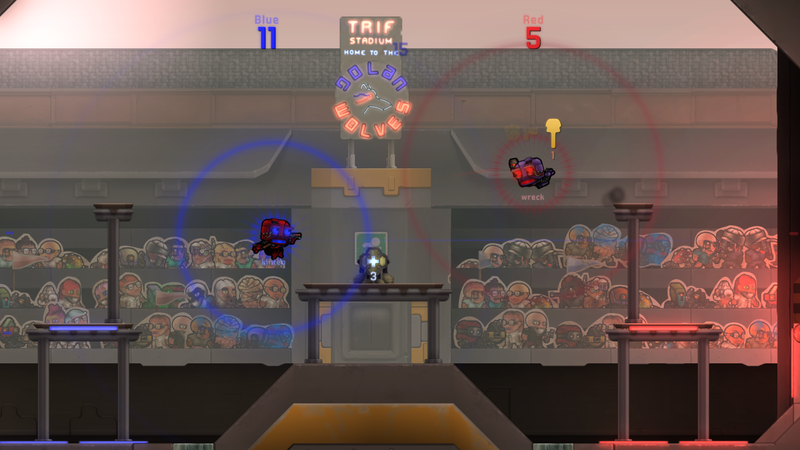 The movement of Cobalt as he dances across the screen feels logical and constant. It kept combat from feeling stale and flat, despite the high chance of death involved within. 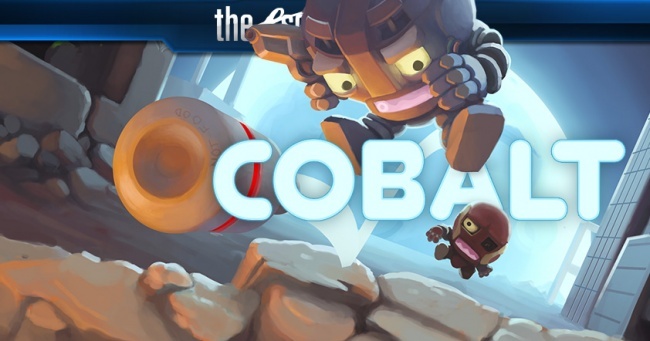 Cobalt is a step (or roll) in the right direction of 2D shooter experiences. Bottom Line: A challenging experience centered around gameplay that has you deflect bullets by rolling head first into danger. Recommendation: For anyone who wants to see the platforming combat of Mega Man pushed into a new physical dimension.